Assist with check-in, outdoor crafts, indoor crafts, snacks, parking and event set-up and tear down as needed. Parking for volunteers is off-site at Simonds Elementary School: 30000 Rose St, Madison Heights, MI 48071. There is a path to the nature center from the school. 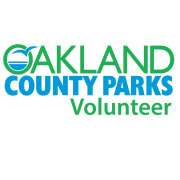 If you are a new volunteer please complete the volunteer application on the website https://www.oakgov.com/parks/getinvolved/Pages/Volunteer.aspx.